Home > Learn More > Chiropractic Info > What’s your Posture Number? Gold Coast Chiropractor, Mind & Body Chiropractic provides a scientific approach to the correction of poor posture. An innovation we have introduced to the practice is the ability to accurately record your posture and give it a number. This is called your Posture Number. 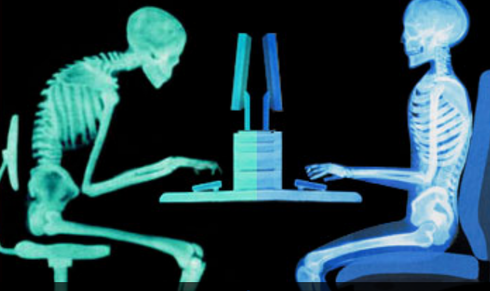 Your Posture Number is the result of the PosturePro® digital image examination. This allows us to get a very clear picture of your posture. It begins with us taking an accurate photograph of your front and side posture. That gives us our starting point. Then we have software that cleverly enables us to measure posture in an objective way. The software enables us to do is to plot these key points: ear, shoulder, hip, knee, ankle and compare them to normal. Then the program from this data assigns you a Posture Number. Ideal posture is when the ear, the shoulder, the hip, the knee and the ankle all fall within the same vertical plane. This is a Posture Number of zero. Average posture is around eighteen. Poor posture is over thirty. The reason it’s so important is that back pain, neck pain and headaches are often the result of abnormal posture which is identified as a high Posture Number! It’s very useful to know exactly where you’re at now and how you can correct the problem. Our goal, as always, is to relieve the patient of their symptoms but more importantly, to correct the problem that’s causing the symptoms. Once the pain has been relieved, monitoring the improvement in the Posture Number allows us to make sure the problem does not return. The most common type of abnormal posture is what we call forward head posture. This is observed when the neck falls forward, bringing the head forward and making the shoulders round. The medical term for this is upper crossed syndrome. Click here for more information on these three steps. Effective treatment usually improves a patients Posture Number to between zero and 10. Do you know your Posture Number? Call us today for an evaluation. Arrange for a FREE consultation with one of our Gold Coast Chiropractors today and let us accurately evaluate your posture.